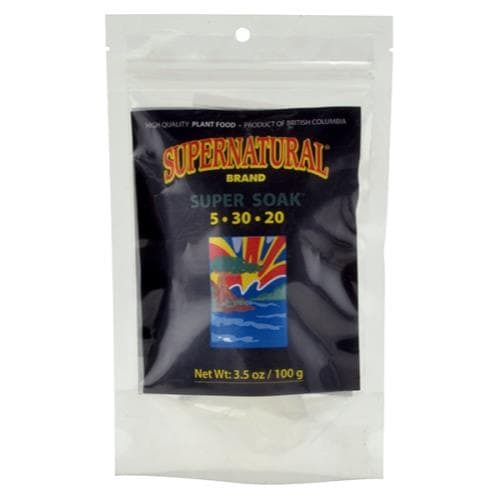 Super Soak® 5-30-20 contains macro and micro nutrients essential to plant growth. It promotes the uniform spread of nutrients throughout any growth medium to enable vigorous rooting, heavy flower/fruit load and ripening. Use as directed to maximize food absorption in a stable root zone. 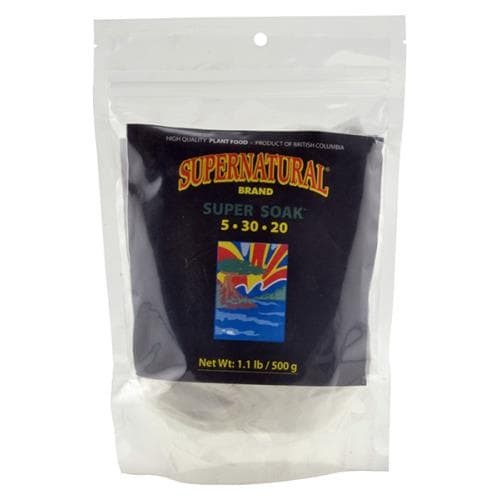 Mix 1-1 1⁄2 TSP (5-7 1⁄2 ml) (500-700 ppm) Super Soak® 5-30-20 per 1 GAL (4 L) of water. Stir until powder has dissolved completely. Always add nutrient to the final volume of water. Never mix nutrient in concentrated form. Use mixture to saturate growth medium both before and after planting or transplanting. Note: Super Soak® 5-30-20 may also be used, for a period of two feedings, in the early flowering stage to help condition any growth medium.